It isn’t the same….but it almost feels like it. We’ve already been on the brink of elimination this season. Games 6 and 7 of the Memphis series and Game 5 of the Clippers series. All games that we needed to win, and did. This feels like that type of game. Throwing all the “nobody has ever come back from an 0-3 deficit in the history of the NBA” talk out the window, this is the make it or break game. Either we win tonight and make a series out of it or we go down like a sinking ship. The emotional boost Ibaka’s return could provide may prove to be the spark the team has needed since the series began. Without their defensive anchor in the middle, the Thunder have looked lost on both ends of the floor. Their spacing on the offensive end has been Charles Barkley turrible, and their paint defense (and subsequent perimeter defense) has seen better days. Even if Ibaka doesn’t provide you with much, the fact that he is there may be enough to see the Thunder through this game. Remember, for all the hoopla surrounding Reed’s return in Game 7, he only went on to score 4 points in the game. 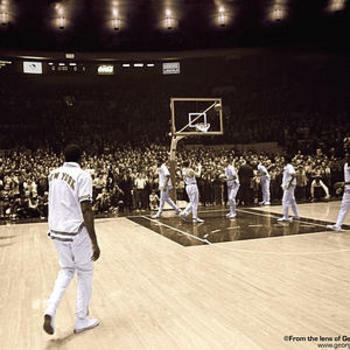 But the defense he played on Wilt Chamberlain in his 27 minutes in the game, proved to be the deciding factor in the Knicks winning their first championship. For a team as organized as the Spurs, uncertainty can throw them for a loop. You can be sure that Gregg Popovich has devised at least 3 different game plans: one for the Thunder without Ibaka, one for the Thunder with a hobbled Ibaka, and one for the Thunder with a healthy Ibaka. The first few minutes of Game 3 will be telling for the Spurs. Do they put Ibaka through a spin cycle of pick and rolls? Do they drive right on him to test that calf? This can work in the Thunder’s favor though. If the curiosity over Ibaka’s health gets the Spurs to deviate from their game plan even one bit, then the Thunder could have a marked advantage. This is the Thunder’s one trump card. Once the Spurs have film on how the Thunder plan to use Ibaka, the surprise factor of Ibaka’s return goes out the window. That’s a big reason why Game 3 is so important to the Thunder. 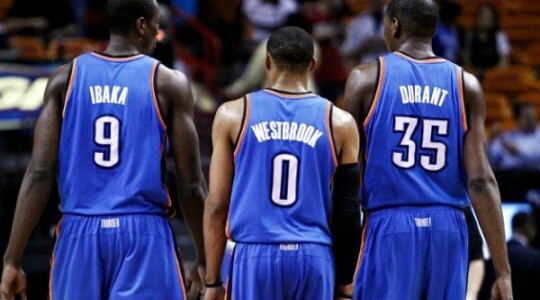 What will Ibaka give the Thunder? The great variable. What will Ibaka actually give the Thunder? He could give the Thunder 20 extremely valuable minutes or he could give them 6 “why the hell is he out there” minutes. The possibilities could literally run the gamut. 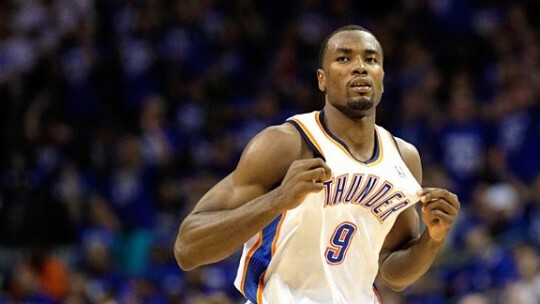 One thing for certain is that Ibaka would not be out there if he had not received the go ahead from the team doctors. The Thunder organization is very meticulous about not putting their players at risk of further injury, regardless of what is at stake. If there was any concern about compounded injury to Ibaka, he would have been held out. Is there a risk of reinjury? Of course. Kendrick Perkins played with an oft-injured groin in the 2012 playoffs, and had to sit out the 2nd half of at least 2 games in that playoff run that went all the way into the Finals. Calf muscles, much like the groin, are heavily used in basketball and the risk of reinjury is there. But I think Ibaka’s return will have more of a psychological impact on the team. No team in the NBA is more dependent on their core players than the Thunder. So even if Ibaka is not at 75%, just having him out there may ease some of the stress that the Thunder seem to be playing with. And if that is the case, then his return will have been a rousing success.